I know the last thing you want to do today is read another blog post from someone saying the same thing… so hopefully, this won’t be one of those. Instead, I’d like to take this moment to tell you about a really awesome Thanksgiving promotion run by Workamper News for the RV Disaster Corps! 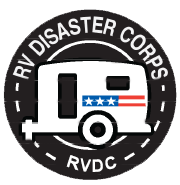 The RV Disaster Corps provides much-needed help and relief to the communities affected by natural disasters after the hype dies down and the media moves on. They mobilize fellow RVers who volunteer their service to do nothing more than to help when and where needed. For an annual Thanksgiving Fundraiser, Workamper News is donating $2 from every membership purchased in the month of November to worth cause! As a special thank you to all Workampers & Workamper Dreamers, when you upgrade or renew using the promo code: THANKFUL18 you’ll get 6 months FREE and you’ll be helping this great RV Charity continue to help rehabilitate communities recently destroyed by natural disasters!